Right in time for Valentine's Day, 888casino has a special offer for new depositing players: 120% up to 300$/€/£ Bonus +50 Free spins! 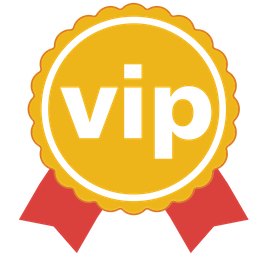 The following are the terms and conditions of the "First Deposit Bonus Offer" (the "Offer") for www.888casino.com (the "Site"). If you play or register with the Site in the UK, the Offer is organized by 888 UK Limited. Otherwise, the Offer is organized by the company defined in the User Agreement applicable to you. Deposits made with Skrill or NETELLER [payment methods] are not eligible for the Welcome Bonus. 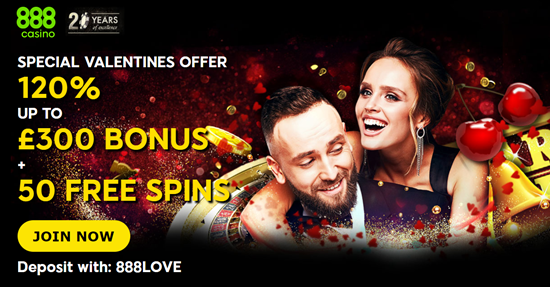 In order to be eligible for the 120% up to £300 (the "Bonus") and 50 Free Spins (the "Free Spins"), players must deposit £20 or more using code 888LOVE exactly as written, when they make their first time deposit at the Site. The Bonus and 50 Free Spins will be credited to the player's account following a successful first time deposit with the code. The Free Spins must be used within 14 days of being credited to a player's account, unused Free Spins will be removed from the account thereafter. Free Spins are valid for selected games summed up below & can be divided any way between them. The selected games are: Millionaire Genie, Irish Riches, Pirates Millions and Rise of the Pharaohs. Free Spin wins and the Bonus are not applicable for Sport or Poker bets.